Purchase Orders and Invoices: What’s the Difference? Understanding all of the paperwork you need to file for your new business can be a little confusing at first. And if you’re a business that deals with physical inventory, you’ll likely be juggling both purchase orders and invoices—but what exactly is the difference between the two? Purchase orders (POs) and invoices are commonly confused financial terms, both dealing with the communication and of terms of payment agreements. These forms can be printed and mailed, but more often, modern businesses send these forms digitally. In this post, we’ll explain how each document is used, the differences between them, and how they can help your business run smoothly. A purchase order (PO) is a document that states the types and quantities of products being purchased by your customer. It also includes the prices of each item, how your customer will pay, the delivery date of the order, and other terms and conditions. If you have long term customers who order the same products frequently, they can create what is called a “standing purchase order.” A standing PO makes it possible for that customer to order the same products or services multiple times over a period of time using the same PO number. Purchase orders are also sometimes confused with purchase requisitions. Purchase requisitions, also called purchase request forms, are processed internally in order to approve proposed spending. These forms are often used in larger companies with finance departments, but are not always needed in small business. How are purchase orders used? The purpose of a purchase order is to manage payments to suppliers, track order status and clarify terms. POs tell a supplier how much of a product to deliver to the customer and when the customer will pay for the goods they receive. If managed efficiently, your PO database will help you track how much inventory you’ve sold to each of your customers, when invoices are due from those customers, and when you need to reorder inventory from your own supplier or manufacturer. Your PO history will also help prevent you from overstocking your inventory, prevent orders from being mixed up, and ensure that your customers receive their orders on time. An invoice usually describes the products that were delivered to the customer, the price of those products, and the payment terms. Most modern-day businesses use an online invoicing tool (like ZipBooks) to send invoices and receive payment from customers. Invoices are created in response to a purchase order (whether formally processed or informally settled). In other words, purchase orders typically come before invoices. A customer may also request an estimate before deciding if they want to hire a business. An estimate is a kind of sneak-peek of the upcoming invoice (provided by the seller) and can be used by the buyer to craft an accurate purchase order. Used properly, invoices can help small businesses track revenue and expenses, and provide a written record of the goods and services delivered to your customers and how much each customer was charged, making it easier to tell which accounts are complete and paid for, and which accounts still have outstanding balances. Keeping an accurate invoice database also makes it easier to pay your business taxes, because it will show exactly how much revenue you collected during the tax year. An intelligent online invoicing system can also schedule payment reminders for your customers and notify you when payments are received so you don’t have to send awkward emails when it’s time to collect your money. 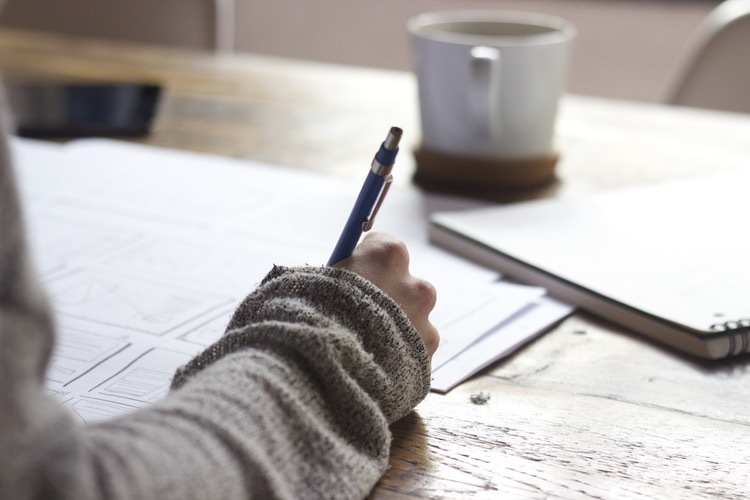 What are the similarities and differences between invoices and purchase orders? The PO is prepared by the buyer when they order goods or services, while an invoice is created by the seller to request payment for the goods sold. The PO is sent to the seller, while the invoice is sent to the buyer. The PO lists the order details and the delivery date of the order, while an invoice includes the price of the order, terms and conditions of payment, and the payment due date. A PO is generated when the customer places the order, while an invoice is generated after the order is complete. A PO details the contract of the sale, while an invoice confirms the sale. Buyers use POs to track accounts payable and sellers use invoices to track accounts receivable (in their accounting records). Both the PO and the invoice include details about the order and shipping specifics, but the invoice also includes the invoice number, date of delivery, and PO number. Both the PO and the invoice are legally-binding documents. If your business is suffering from slow-paying clients, you’re in the majority. One survey released by PaySimple found that 80% of small businesses receive payments past their due dates. If you have customers who make the same purchase every month, don’t waste your time rewriting the same invoice. Set up recurring invoicing with secure storage of credit card information and automatic payment. Then send automated receipts once the invoice has been fulfilled. Did you know that customers are 15% more likely to repurchase from businesses that include a logo on their invoice? ZipBooks builds this data–and much more–into an “Invoice Quality Score” that updates live as you edit your invoice. These actionable insights are based on millions of data points to help you make the small improvements that produce huge results. Things like identifying terms of payment and adding detailed descriptions help guarantee that there is no confusion when your customer receives their invoice. Use automated late payment reminders so clients don’t go too far from the due date and forget about the purchase. Follow up the day after payment is due and schedule additional reminders as well. Use language that is clear and easy-to-understand. One study suggested that “days” instead of “net” brought payments in sooner, and saying “please” or “thank you” increased the percentage of paid invoices by more than 5%. Things like identifying terms of payment and adding detailed descriptions help guarantee that there is no confusion when your customer receives their invoice. The invoice they receive should be exactly the same as the contract they signed, so there’s no surprises. Consider using an invoice template, with saved line items, to help you to create and send payment requests in a matter of seconds. Digital invoicing, (a must in our day-and-age), provides a direct link to your favorite payment processors. For example, with ZipBooks you can accept payments from Square, Stripe, PayPal or credit card–immediately within the invoice. Some might suggest expediting invoicing cycles by penalizing late payments. This doesn’t always work. Clients who aren’t in a hurry to pay your bill are unlikely to be in a hurry to pay your late fee. In fact, sometimes late fees justify delaying the payment even further, since they’ve already incurred the cost. Instead, try to incentivize early payments. Consider offering a discount for early or same-day payments. Advertise these discounts on initial contracts and invoices so that clients know their options and are excited to pay early. If you can’t afford this kind of cost upfront, consider offering the discount on a future purchase instead, or perhaps offer a payment plan. Without regular cash flow, the financial health of your business is at risk. Small business owners should find ways to automate invoicing, so that their billing strengthens their bottom line rather than weakens it. ZipBooks free online invoicing app makes invoicing your customers for goods or services easy. 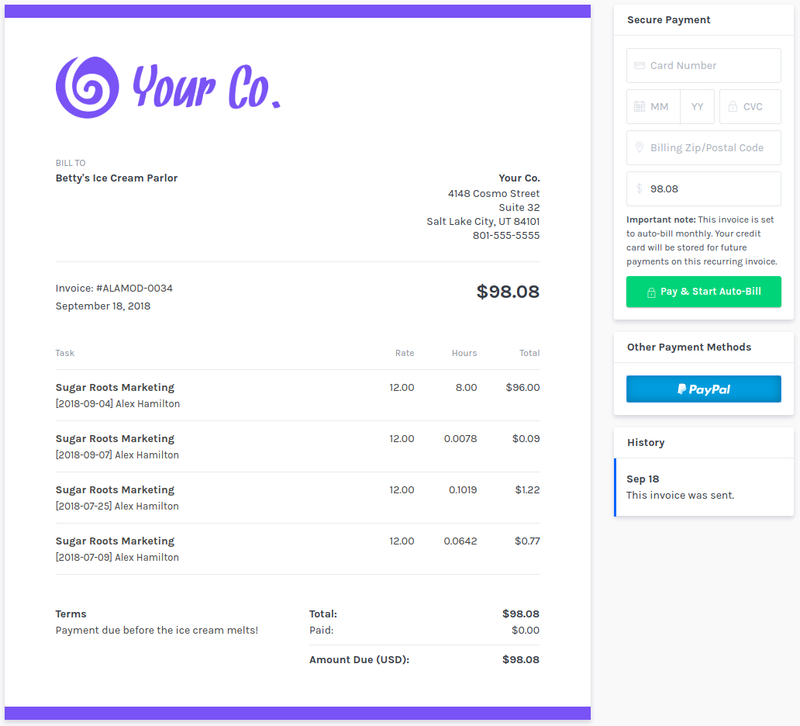 In just a few clicks, you can send custom invoices to your clients, get paid via credit card, PayPal, or Stripe, and get notified when your customer pays their balance.